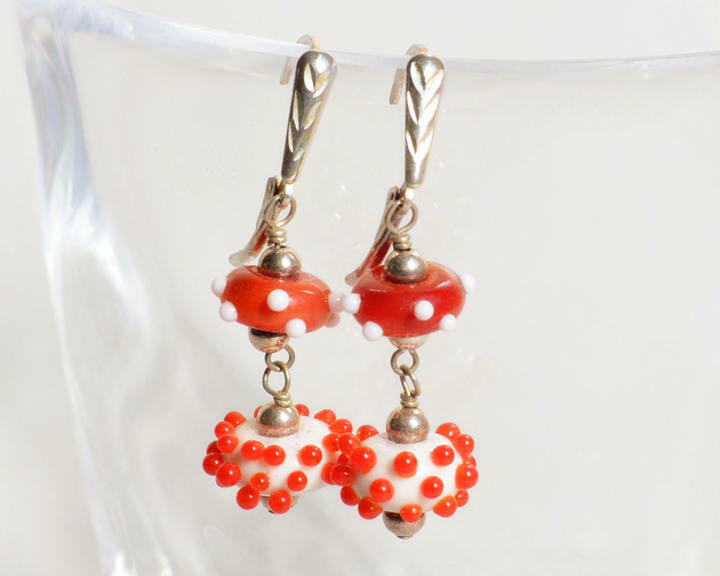 Two different handmade lampwork beads make up this fun pair of earrings. They are brought together with sterling silver findings and sterling lever backs. Can be converted to French wires if preferred. View these in my Etsy shop here for more photos.